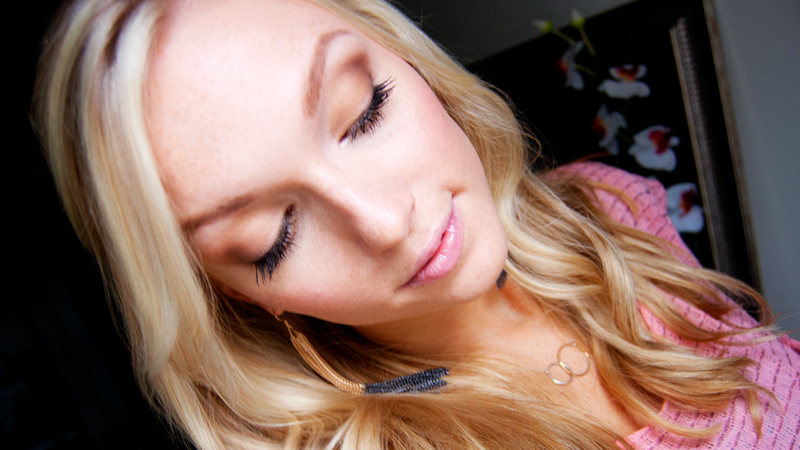 Makeup By Alli: Back to School Makeup: 3 Looks with 3 Shadows! Fall is by far my favorite time of year. In Philadelphia the season is especially beautiful with all of the gorgeous foliage and it's finally cool enough to open our house windows and let the breeze just flow... *sigh*. It also means it's time for another back to school tutorial - well, actually THREE of them! I've been raving about the NYX eyeshadow trio in "Honeycomb" for the past month or so. One of the reasons I love it so much is the versatility that it gives you with three natural, wearable shadows (not to mention it's easy on the wallet). Perfect for school makeup, right? I thought I would show the three main looks that I've been wearing using "Honeycomb" all in one mega, super-sized tutorial. Just goes to show you don't have to shell out tons of money or invest in lots of products to switch up your day-to-day makeup. I wish everybody heading back to school an amazing and successful year and be sure to check out the video tutorial below! NYX Eyeshadow Trio in "Honeycomb"
NYX Mega Shine lipgloss in "Perfect"
An informative blog for the readers on the various kinds of make up for the taking. A wonderful post for the women to read and benefit from.